Interested in learning about the history of Castlewood, I searched the web looking for photos and stories and found very little. So, I created this site. Photo: Morning view from the bluffs in Castlewood State Park April 15, 2019. The quiet sounds of birds, bugs and water on the flooded River Scene Tail in Castlewood State Park Saturday, June 20, 2015. Sharing the adventure exploring parks, trails and rivers Beyond Castlewood Missouri. A Spanish land grant at the turn of the 19th century made to Joseph Keiffer and used for farming by G. Gratiot included part of the area that is now the Castlewood community and that part of Castlewood State Park lying north of the Meramec River. From that time, parcels of the property passed through many ownerships: Nicholas Dresdehan, Alexander Andre, L.E. Strothkamp, St. Paul Lime Company, Ranken Estate, Union Sand and Gravel Company, and the Meramec Realty Company. The name "Castlewood" is probably derived from "Castle Woods," an unsuccessful speculative subdivision development in 1871 along the bluffs just west of the present community. 2012-2018 Castlewood Missouri and Castlewood State Park located at 1401 Kiefer Creek Rd, Ballwin, MO 63021. Hello, all! I have long been fascinated by the history of Castlewood, and every time I go, the ruins spark my imagination. I write science fiction, but I think I must give in to my muse. I've been looking at the stories on this website, and the Facebook page as well, and my creative juices are flowing like mad. I'd like to make a query to see if anyone has any stories of Castlewood they'd like to share/wouldn't mind getting used in some way in a book? I was originally thinking of writing in the Prohibition era, but the more stories I read about the 40s/50s, the more interesting it's getting. Or, if anyone knows of any resources or historical societies. I'm just starting my research, so any help there would be greatly appreciated as well! Just for fun- these are my maternal grandparents, Mel (lower left corner holding a glass) and Mary (far left in a flower dress, also holding a glass) and friends at a cabin in Castlewood when it was a resort area. "Labor Day, 1932" is the caption - the height of the depression incidentally. Jim, I moved to Ballwin in 1954 and spent most of my high school summers teaching swimming at Castlewood Pool for Clayton's Learn to Swim program for underpriviliged kids. I remember the water being so frigid that you could hardly stand to put your toe in but the kids didn't mind. It was some of the best times my brother and I had at that pool. Later after I gradualted high school and went to work, my weeksneds were spent at the Trees dancing the night away. It is too bad young people today don't have the opportunity to experience the fun times that we did. I grew up in Ballwin from 1956. 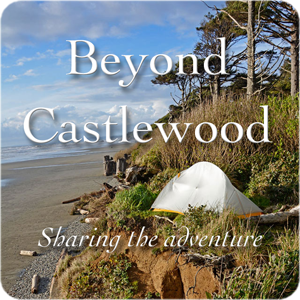 The memories of Castlwood are some of the best of my life.i grew up in Westrige Subdivision. Over by the Barn. You know the old diary barn over on Kerhs Mill road. I remember when they have a .Save The Barn.petition in the early seventies i think. Anyway one summer in the late sixties somehow we came across Castlwood swimming pool. On Monday's they would change the water and it would be freezing cold. When I really like to relax I think back on those days Latin in the sun, eatin BBQ chips, drink a coke with CCR blasting on the loud speaker. There was a bridge down the street from the pool. All it was was two boards. It always freaked my mom out driving over it. I had a friend I'd spend the weekend with. David Hicks. Anyway I saw this site I thought I'd write some my memories. I was so cool. I doubt you could find a place like that now. I wasn't just the place, it was the Time. I grew up in Ballwin in the late 1950's and 1960's. Castlewood Pool was the only swimming pool around the area at that time. My mom would take us there every so often on those hot, lazy summer days of childhood freedom. I remember how cold the water was and going into the store/snack bar for sodas and BBQ potato chips. There was always juke box music playing in the building and the wooden floor was slippery from all the wet feet tromping in and out. When a little older, I remember riding my bicycle down New Ballwin Road and to the pool with several friends. I think the road off New Ballwin was gravel and dusty. These were great times and made wonderful memories. Those were the days! My grandparents raised a family in Castlewood. I was very fortunate to as a kid in the late 1960's enjoy the purity of the area. There were trips up wooded hills to pick wild blackberries. And countless trips to a spring feed creek sometimes to just watch tadpoles swim. Listening to the woods at night provided a chorus. Imagine finding that today. HI Jim, thanks for this and hi to everyone else. My family moved to Castlewood when I was four in 1951 and we stayed until the end of 64. Great memories in the early days with my friends, family and cousins at the Castlewood Pool, trips to the bluff and to the river. As for the pool, it was one of the few salt water mineral pools in the St Louis County area. jim, this brings back a lot of great memories. two friends and i rented the next-to-last house on mountain ridge road beginning around 1970. it was directly above the lincoln lodge. i think rent, with water, came to about 180 a year. speaking of water, it seems to me that water was pumped up to the reservoir. we worked at a fireworks stand in st charles, so were able to put on quite a show from castle cliffs on july4. there were a lot of junk cars in the area, but they were removed at the time the homes were razed. and your recollection of the last tennant is true. it was one of my two buddies, and he was very difficult about leaving! Photos of Castlewood, Eddy Pahl and the Lone Wolf Club. I'll get some photos together and post the soon...In the mean time...Keep the stories coming! I loved going to Castlewood. I first learned about it from my great aunt. She told stories of going there in the 20's. Later my dad took me to Lincoln Lodge. As a teenager we would ride our bicycles down there from our home near Claymont. We'd explore the area, old cabins, and the cliffs. We'd go there to watch sunsets, find the cave(s), cross the river tressle, and go down to the river. We never went swimming there as our parents had warned how dangerous the river is. I had a few friends that lived there and remember going to the Wolf. My young brother was baptised at the old Holy Infant. church. I wonder what ever happened to Kim Cole that lived near there. Had such a crush on her for years. I grew up in Castlewood from 1949-1957, but my parents had clubhouses during the 30's & 40's, so I know a lot of history of Castlewood, I have a picture of my Dad riding a horse into Bill Breits tavern @ 1938-40,picture of the old Catholic church we attended, where Harry Hatlan was the (married ) but served the priest visiting from St. Joseph in Manchester or a visitor priest staying at a clubhouse.We had a club house down in Mt. Ridge ,where the park is now, club house on Sontag Road when I was little. Climbed all over the cliffs, went to the Lincoln Beach, swam in the cold waters of the Castlewood pool. I am willing to help with history, . My brother & sisters & me came last year to the park celebration but there was no one else came except the people I contacted, who are descedents of Russ Dickinson, who was born there. My father helpd organize the 1st Firehouse on Clear Springs Road.. When I moved to Castlewood in 1980 my next door neighbor was an elderly woman named Vie Wren. She had lived here her whole life. According to her, back during prohibition there were seven "Speak Easys" in Castlewood. The Lone Wolf being one of them and the apartment building right next to the stone pillars was another. She said that she owned one of them and that most of the other owners lived in Fern Glen, which I believe is where the West County Landfill now exists. She said they were all wired together with an alarm so if the "Revenue Agents" hit one place they could warn the others. I don't know about the others buildings but the Lone Wolf was sitting on either a natural cave or a tunnel (I'm not sure which) where they would stash their illegal booty if the alarm was sounded. I am so glad someone is doing this and the best of luck to you! Castlewood has quite a colorful history, it would be a shame to loose it. Late '40s photo of the Lone Wolf Club located on the South end of New Ballwin Road and owned by Eddie Pahl. Today the property is home to the Wildlife Rescue Center and stonework is all that remains of the Lone Wolf. The Philip Kaes House was built in the 1850s and is located west of Castlewood. The photo is from the 1920s. More on the Kaes House. Photo provided by: Missouri History Museum, St. Louis. Between 1915 and 1940, St. Louis residents traveled by train to Castlewood Missouri for water fun, dancing and clubhouse partying. Lincoln Beach was a popular place to enjoy the river. Thousands of bathers would gather, arriving by canoes and small boats from up and down the river. This popular beach was a byproduct of earlier dredging by the Union Sand and Gravel Company, which operated a separating plant from aggregate on the east bend of the river. Photos provided by: Missouri History Museum, St. Louis. Hi Jim.do not know but was this " club house" called The Bob o links ?...if it was this was a house my dad shared with some guy friends back in the 30's and my moms family owned " All Inn" just up the hill.I remember my parents laughing about the fellows getting a horse up the steps and into the house...( must have been drinking) after a night on the town in Castlewood.but I do not remember "how" they got the horse out ! Still a mystery ! I moved to Castlewood in the mid '70s renting a house with friends and then buying a house down the street in '78 that I still own. The photo is the way it looked in 1978. The house was built in 1921 and sold to me by the original owner. He had stories to tell about weekend parties and how all the guys would sleep in the unfinished upper level while the girls slept on the first floor.